Steve Spurrier came to South Carolina to become the program’s first coach to win an SEC championship. A Heisman Trophy-winning player and a national championship-winning coach, Spurrier is all about achievement. By turning the Gamecocks into winners, he could cement a place in history as a legendary college coach. When it became clear that wasn’t going to happen, he lost interest. Many of us thought he would retire after last season. Instead, he hired Jon Hoke as co-defensive coordinator and gave it one more try. Finally, Saturday’s 45-24 loss at LSU must have pushed him over the brink. The Gamecocks (2-4, 0-3 SEC) are clearly nowhere near contending for a second SEC East title, much less winning the conference championship. 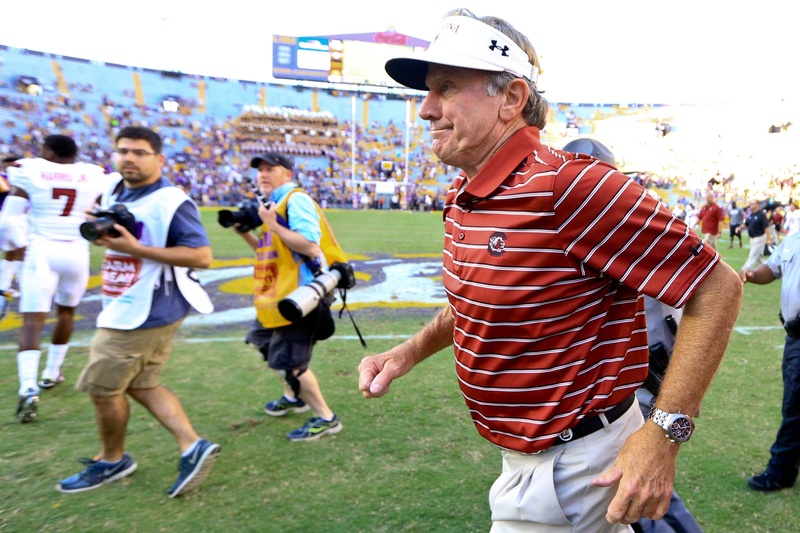 For the 70-year-old Spurrier, the dream was over. And he wasn’t interested in cashing more big coaching checks for fielding mediocre teams. Those of us who were there when he arrived with great enthusiasm in 2004 and remained for his frustrated, post-game news conferences the past two seasons could tell. With every resigned utterance of “that’s who we are” and “it is what it is,” it was obvious the Head Ball Coach had lost his passion. He came to compete for championships. He didn’t have the desire to wait at least a few more years for the Gamecocks to become relevant again in the SEC title chase. Spurrier saw the end was coming last season as the Gamecocks blew leads against Missouri, Kentucky and Tennessee and lost their first game in six seasons to rival Clemson. Rumors swirled around Columbia that the university administration had to talk him into coming back for 2015. The game hasn’t passed Spurrier by. He won 33 games in the 2011-13 seasons. But he’s shown signs that he doesn’t like it as much. 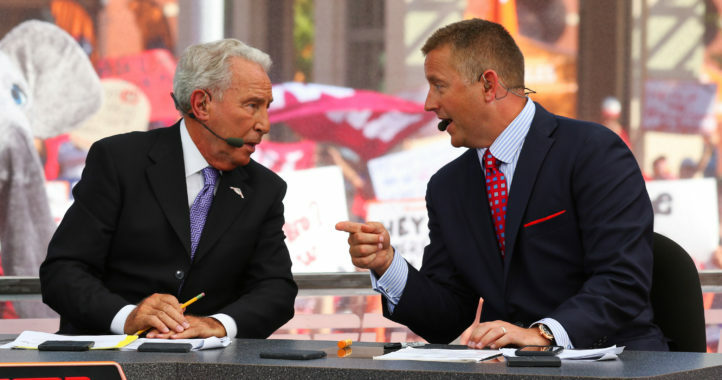 Though he’s credited from taking the SEC from a defensive-oriented, smash-mouth football conference into the modern age as the consensus most powerful football conference in the nation, the Head Ball Coach is an old-school guy. He thrives on competition and striving to be the best. He loves Xs and Os, fundamentals and trying to outsmart his opponents. 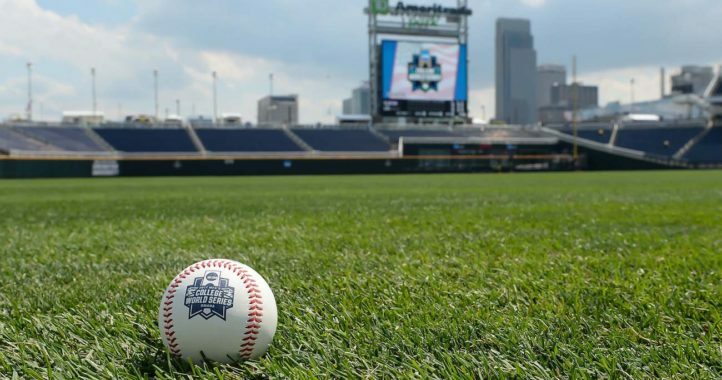 He didn’t just want to win – he wanted to win the “right way,” without high-profile player discipline problems and within the structure of NCAA rules. He detests the trend toward player celebrations and attempts by players to draw attention to themselves. He cares nothing about today’s pop culture, joking about his lack of knowledge about rap music. He shows little enthusiasm for begging 17-year-olds to come play for him. After freshman Lorenzo Nunez led the Gamecocks to a victory over Central Florida a few weeks ago, he admitted having a quarterback who was a breakaway running threat was “new” to him. You got the feeling he wasn’t excited about making the read-option the focus of his offense. Spurrier didn’t win an SEC title at South Carolina. He’ll have to settle for the six conference titles and one national title he won at Florida. He did lead the Gamecocks to their only SEC Championship Game appearance, three consecutive 11-win seasons, five consecutive victories over Clemson and four consecutive bowl victories. Near the end, Spurrier labeled reporters who speculated about his eminent retirement as “enemies.” But the truth is, the media loved the HBC not just for his humorous quips and jabs at rivals, but because he was one of the few coaches they could depend on for candid remarks and assessments. The HBC remained honest, retiring in midseason. This isn’t the way he wanted to go out.The easy thing to do would have been for him to finish the season and cash a few more checks before retiring to adulation from Gamecocks fans. Instead, he retired when he knew he couldn’t give his best effort anymore, knowing it would open him up to criticism. And that criticism is valid, especially considering the heated denials he’s made this season. But criticism never bothered Spurrier, whose record was hard to criticize. Losing, with no prospects of winning big in the near future, is what bothered him most and drove him into retirement. The game did not pass pass him by. He just couldn’t get the talent. If he had players on the level of UGA, SC would’ve dominated the SEC East. I think he was frustrated top recruits even from SC went elsewhere. I think the game vs LSU drove home just how far behind the big dawgs he really was. Even LSU’s 3rd stringers were better than his starters and when they came in they continued to dominate. Couldn’t get the talent? He had an entire roster full of NFL talent when he was up at Washington. And he quit that job before he could get fired, just like he quit the Gamecocks before they could fire/run him off. He once said his greatest goal as a coach was to never get fired. Lol. South Carolina is looking at a 4-8 season, so instead of manning up, he quit. When I watched him bleed recruits on National Signing Day 2015, I knew the writing was on the wall. He wouldn’t stay in Columbia with Clemson out-recruiting him. lol rocky salt. Will always be better than Fulmer. He quit so SC could be first in line in the race to replace. The President wanted him to finish out the season, but his team quit on him at LSU and everyone knows it. Even with the flood distractions, his players wanted no part of that game. No coach enjoys that, on any level. This was not a case of “they didn”t come to play” it’s a case of a team going through the motions. He got out of the way, for his own sanity. Coaches aren’t first come first serve. No, but starting early is advantageous. Coach also isn’t the type of person to go through the motions of the season when he knows he’s going to hang it up. He’s also not the type of guy that’s going to sit there and lie to recruits for the next two months when he knows he is going to leave.